Crossovers are shrinking. What started with a handful of vehicles like the Buick Encore and Nissan Juke is growing into a large and varied segment. Unveiled at the 2014 Los Angeles Auto Show, the 2016 Mazda CX-3 marks the Hiroshima-based carmaker's entry into that segment, with styling and a powertrain shared with some of Mazda's other recent models. 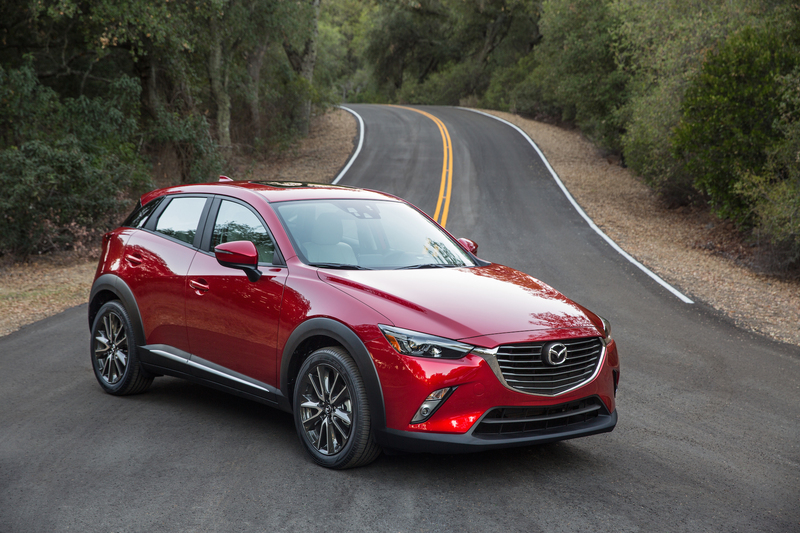 At first glance, the CX-3 looks like a high-riding version of the 2016 Mazda 2 subcompact, or perhaps a shrunken version of the larger CX-5 crossover. The only engine available in the U.S. will be a 2.0-liter four-cylinder gasoline unit from Mazda's SkyActiv line of fuel-efficient engines. Mazda did not release power-output figures for the CX-3, but this engine produces 155 horsepower and 150 pound-feet of torque in the CX-5 and the Mazda 3 compact. A 1.5-liter four-cylinder diesel engine will also be offered in other markets. Mazda has promised to bring its larger 2.0-liter "SkyActiv-D" diesel to the U.S. in the Mazda 6 mid-size sedan, but that's been repeatedly delayed. A six-speed automatic transmission is mandatory, but Mazda will offer a choice of front-wheel driveor all-wheel drive. We've seen impressive real-world gas mileage results from Skyactiv engines in other Mazda models, so it will be interesting to see how the CX-3's performance stacks up against its EPA fuel-economy ratings, once those are released. Like the exterior styling, the interior of the CX-3 also borrows heavily from other Mazda models. It's also available with the latest Mazda Connect infotainment system with smartphone integration. Other technology options include a suite of active and passive safety systems under the i-Activesense banner. The 2016 Mazda CX-3 will go on sale in Japan in spring 2015, with U.S. sales likely to follow shortly after that.